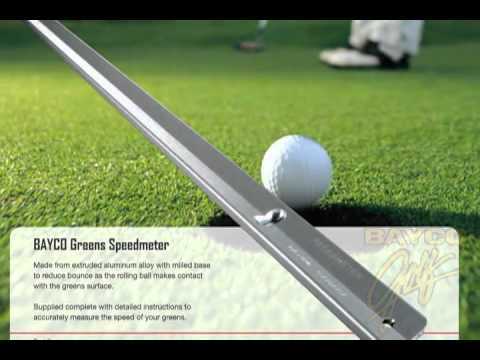 The BEST Adjustable Speed (9-12 Stimp) Synthetic Omni-Directional Putting Green Surface Available! 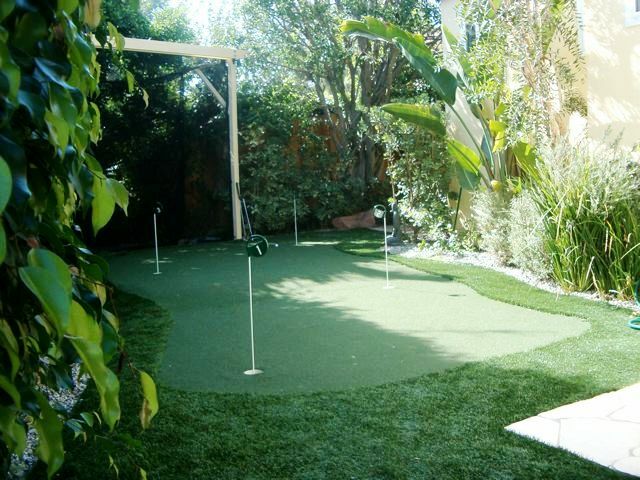 Create Your Own Private Practice Putting Green! One of the main benefits of our nylon greens, is its all round performance is unmatched. 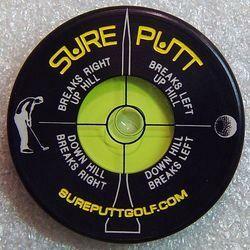 Whether for strictly putting or putting along with longer approach shots this is the turf of choice. This product can be installed in many different environments, indoor & outdoor. It is easy to seam and will hide the seam well if installed properly. This turf has a good UVA resistant factor and holds up well in all climates. All Nylon & Nylon sand filled synthetic putting greens have [memory]. The fibers are heat set during the manufacturing process at 230 degrees and will resist becoming matted down by springing back to their original upright position. Our Nylon synthetic putting green is much denser than our polypropylene sand filled putting green. 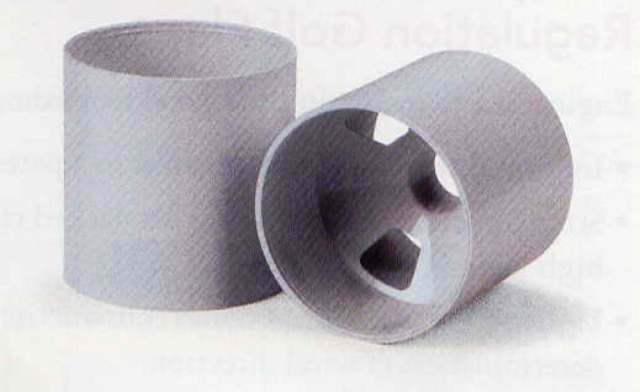 Nylon is also a much stronger fiber than polypropylene and will resist fading and wear in all weather conditions. Our Premium Nylon is a cross-stitched, nylon putting surface that perfectly replicates bent grass putting greens. This is as close as you can get to the real thing. This nylon is found at premiere golf courses, teaching and training academies The surface is ideal for instructional purposes, as it maintains its “true roll” characteristics irrespective of temperature, climate, time of day or time of year. This consistency is a welcome tool for any teacher or student of the game. 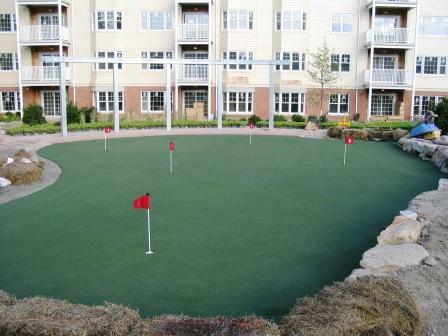 In addition to instructional settings, this surface is found in many residential putting greens and retail and entertainment environments. 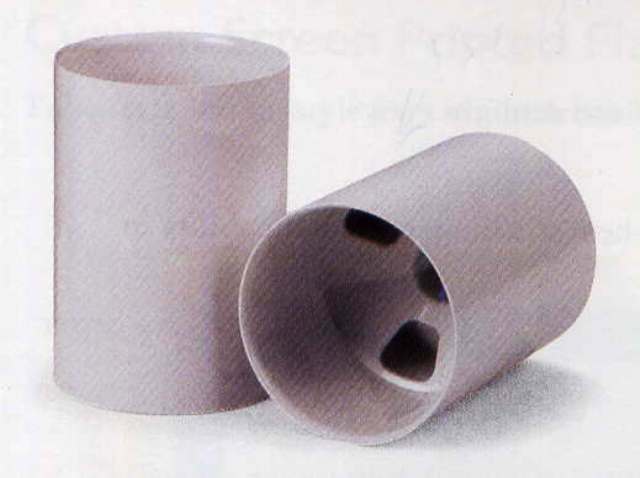 Serious golfers demand the true roll, consistent and realistic characteristics of a nylon surface. For the person serious about improving their putting stroke, our Premium Nylon irrespective of the setting is the preferred putting surface. 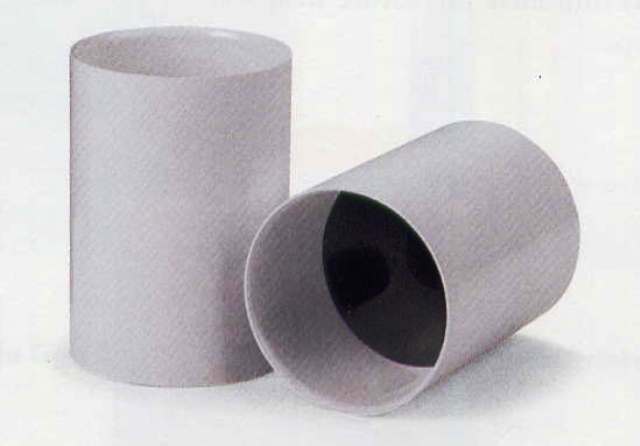 TJB-INC sells this material in 15' widths x (what-ever length you choose). IE: If you need a green that is 15' wide x 20' long, then enter "20" under quanity. To calculate shipping costs: Add a product to the shopping cart. An orange colored "Calculate Shipping" tab will now show up on the right side of your screen in the blue area in the shopping cart section. Click on this "Calculate Shipping" and enter your zip code. Hit "Submit", and your shipping options & delivery times will now be displayed. If there is a choice, pick the option that best fits your needs. Customer/contactor is responsible for providing man-power/equipment to off-load rolls at delivery point. Orders to Canada may be slightly more. We will get an exact quote & contact you before processing order. Canadian customers responsible for duties & import taxes. Nylon synthetic turf does not normally require maintenance after it is installed. Whether you choose a sand filled or non sand filled nylon turf, the surface of your green can be cleared of debris easily, by either blowing or sweeping the surface. We offer a free E-Mail delivered copy of our putting green specifications & installation instructions if you send your request for them to: tjb@TJB-INC.com This free information will help you plan which green surface is best for you and what is involved in the installation process so you can better judge whether this is a project you can handle on your own or if you will need local professional assistance. 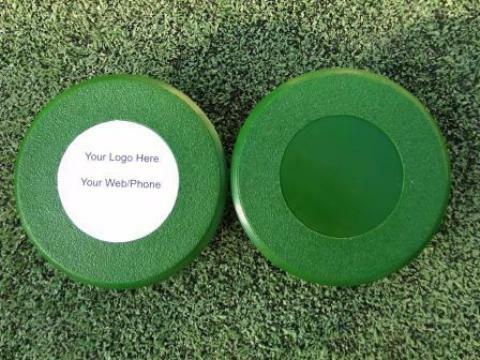 If you would like a material sample of our Premium Nylon Turf, select it in the "Length of Putting Green" box above. (It will be at the bottom of the list). We will ship you out a sample of the turf by USPS Priority Mail. All you pay is the cost of shipping ($5.50). You will also receive a discount coupon of $15.00 on future orders over $250.00. Order must be a synthetic turf product, and does not apply to installation tools, accessories, or shipping. Maximum discount is $15.00 per customer or address. The weight of this material is 81 oz /per sq yd. Much easier to hide seams vs. our 3/8" Premium Nylon or 1/4" Nylon One-Putt. Normal Shipping time for rolls is 1 week for delivery to your location. Alaska & Hawaii, a delivery surcharge will apply! All of the surfaces we sell are 1st run production products. We do not sell or ship 2nds, Returns, Clearance or Close Outs Specials. All of our synthetic surfaces are covered by the manufacturer's pro-rated warranties. Yarn Size: 4400 Denier 525 DPF Textured : "Spring -Set"
A. Only national branded Nylon fiber is used. Most other companies use an unbanded type of Nylon such as recycled Nylon from Augusta, GA.
B. Our Nylon, when used in high abrasive situations like golf, will not melt or leave a residue on your clubs like recycled nylon will. C. The extra crimp in the Nylon called "Spring-Set" actually adds about 100% more to the crush-proof factor. Carefully examine the other Nylons and see how much extra crimp our Nylon has. Our Nylon has the crimp look like a small spring. This resists crushing and matting that is common with "other" nylon greens sold by our compitition. D. Nylon is soft but tough. It will not crush and if it does, the crush marks will bounce right out. Our Nylon turf is the best Bocce turf in the world. No ball dents. E. Because of the new dense tufting method, TJB-INC can now provide a product with a true non-directional surface. The best for putting greens and proven by the pro's. The ball speed and roll is identical to a real grass surface and is being installed around the globe as the premire putting green surface of choice by golf turf professionals..
Telephone or E Mail Advice from our own professional installation crew available at no additional charge. 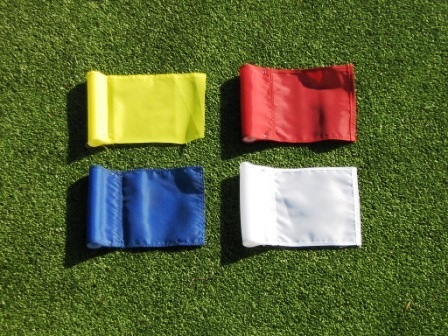 To learn more about which putting green surface is best for you "CLICK HERE"
Regulation Cups, 30 inch Fiberglass Hole Markers, & Replacement flag colors [Blue, Red, White, & Yellow] are available on our TJB INC Store. Green surface will be rectangler when delivered, so you can custom cut any shape you would like for your putting surface. Synthetic Fringe Turf is available for sale in 15' widths only. When TJB-INC does a local installation, we prefer to use natural Bluegrass sod or sow grass seed turf instead of synthetic fringe grass. The natural grass fringe lend itself to a more natural look for the putting green and can alter play by changing the mowing height as desired through out the year. SAMPLE OF A TJB-INC INSTALLATION - REDDING, CT. NOTE: We get a lot of questions about chipping on to the green surfaces, and which surface material to purchase. 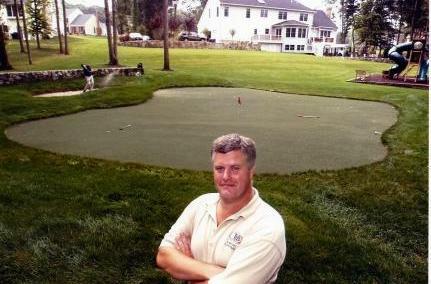 We advise these customers that size of the green is more important than the style of putting green surface. All of the surfaces will hold a chip shot, but not if your green is 12' x 12' and you are chipping from 150 yds out. To hold a chip shot from 60 yds out, you should have at least 600 sqft of putting green surface to handle the ball's roll out (unless you have a perfect back-spin on the ball). Smaller greens are great for putting practice and Bump & Runs. From Richy Procter of stony point, New York on 1/19/2016 . From Anonymous of Willard, Ohio on 3/8/2012 . 5/21/2016 – Could I get a copy of installation instructions. Looking to do a 15 by 15 diy green. I currently have a bentgrass green in my backyard for 4 years but I would like to convert it to a synthetic one. . . .
its out side and can we use a narrow . . .
7/26/2012 – Can you please send me installation instructions for this product? I am contemplating a purchase for my backyard. Thanks! . . .
33 Inch Practice Green Marker w/ Easy Grab Knob , Colored/Numbered Flag, & Golf Ball Retrieval Disk – Used on practice courses worldwide! 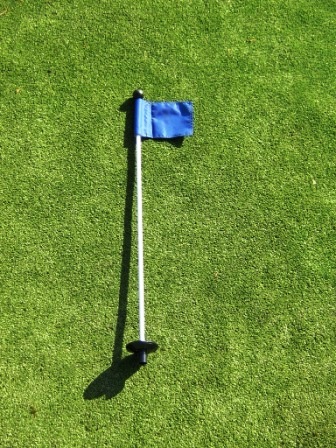 Golf / Putting Green / Turf - Kits & Supplies / Putting Green Accessories - Cups, Markers, Flags / USGA / PGA Regulation Putting Green Cups - 4" & 6"
USGA & PGA Regulation Golf Cups - 4" & 6" Bright White Aluminum - For Golf & Putting Green – For the special "kerplunk" sound that only an aluminum cup can provide. Customizable Flush Mount Golf Hole Cup Covers for all PGA & USGA Regulation 4" & 6" Deep Cups – Protect your cup holes when the green is not being used.